The short case studies below illustrate some of the business benefits of archive management. More detailed case studies are also available. Archives can be used to develop brand awareness both to customers and to company employees through PR and marketing campaigns. Knowledge about brand history gives commercial teams the long view of brand development and ensures the integrity of ongoing brand development. Also, training sales staff on brand history gives them unique knowledge and a more rounded sales pitch that differentiates your brand from the competition. When Diageo Spain launched a limited edition premium blend whisky, the marketing campaign focused on the product’s exclusivity and the Walker family’s unrivalled history and skill in blending. Nineteenth and twentieth century documents, images and artefacts from the company’s archive were used to enhance internal stakeholders’ knowledge and awareness of the new brand. In addition, archives were presented at customer and PR launch events to illustrate and underpin the provenance, heritage and “luxury” status of the new brand. Media interest was exceptional, and Diageo brand managers successfully delivered the marketing strategy to position the Johnnie Walker blend as a luxury brand. Archives can be used as public relations tools providing information and imagery to underpin and promote corporate identity and reputation management. Archives reflect the longevity of the company and whether it’s 100 years of successful high street banking, or 10 years of Internet retailing, the link between business longevity and trustworthiness can be exploited to engender customer loyalty. In 2005 the John Lewis Partnership appointed architects to build a flagship store in Leicester as part of a major development project to regenerate the city centre. The brief was to design a unique and dramatic frontage reflecting the city’s long and significant heritage in the production of textiles. The architects adapted an original sample design from the John Lewis textile archive and reproduced it on the glass cladding of the building. Not only does it meet the brief, but it communicates an innovative and modern company identity for John Lewis, and is regularly used in media coverage. significant act of corporate social responsibility whether it’s via the employment of an archive team, or the outsourcing of the archive for permanent preservation by a public sector archive service. BT’s Heritage Policy is a published commitment to safeguard and give widest possible access to the company’s unique history. BT Heritage encompasses BT Archives, which manages the company’s historical records, and the Connected Earth museum initiative. This tells the story of communications, from the telegraph to the internet, through online galleries that make extensive use of BT’s archives, and through a network of UK museums that showcase BT’s dispersed collection of historical artefacts. This leadership in corporate responsibility provides an invaluable resource for researchers. It also supports business operations by promoting the BT brand and identity to customers, and positively differentiating BT from its competitors. The company history is a great tool for disseminating company culture to new employees. Induction presentations are a fast and stimulating way to inspire new recruits about company values and achievements. Also, history can be communicated through publications, websites and events, to maintain loyalty and improve the motivation of existing employees. In 2001 HSBC commissioned an art installation for the foyer of their new head office in London. The installation – created by reproducing historical images from the HSBC archive onto nearly 4000 aluminium flags – captures the values and character of the company. The History Wall, as it is now known, is used as part of company induction programmes. New head office employees are given a guided tour of the History Wall, while those at international locations can access an accompanying publication and DVD. In this way, the company history is used to engage new generations of employees, communicating and ‘bringing to life’ long-established corporate values. Archives have a unique informational value as evidence, and can be used to counter litigation claims, and to support trademark and intellectual property rights. Well-managed records and information systems also create business efficiencies that can save time and money for your company. 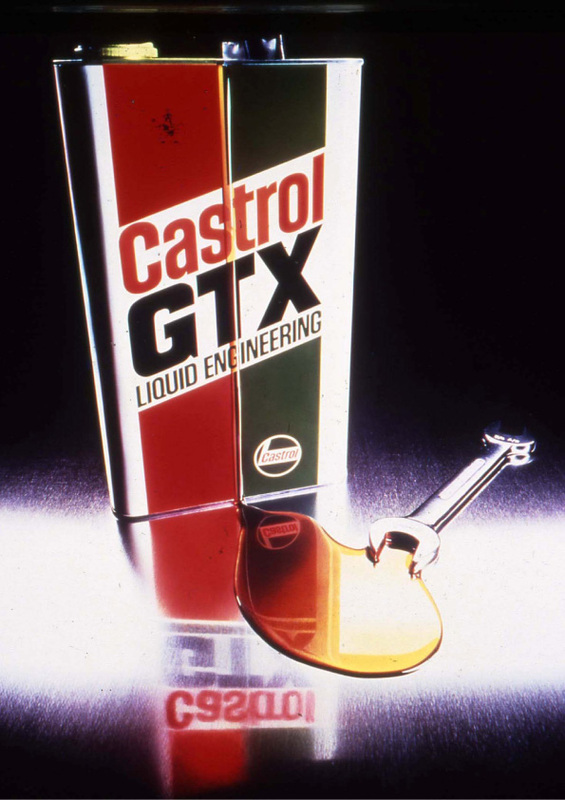 historic packaging, pricing and advertising material that was set up in the 1990s. Although the intellectual property in the archive is historic, even material perceived as out-of-date can be used as evidence of commercial development over time, and is invaluable for protecting current brands, and ultimately BP’s business. Commercial teams use archives as inspiration in the creative process of brand and service development, saving significant development costs. This is not about recycling or peddling old ideas, but about using them as the springboard to bring contemporary competitive offers to market. Boots UK’s product development team was tasked with creating a new global beauty brand, with an authentic 1920s look and feel. Working in collaboration with the company archivist, they were able to identify and adapt original 1920s product formulations and merchandising to create an attractive new customer offer. This innovative use of Boots’ design and packaging archive delivered a global brand to market, quickly and cost-effectively. Image courtesy of BP Archives.